In the area of Office (including SharePoint) app development, there is a growing interest in Office365 apps and we are adjusting the certification path accordingly. 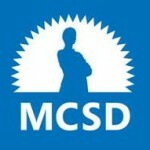 As the existing MCSD: SharePoint developer path relies heavily on Web Application development skills, we are moving to a model where individuals would earn their MCSD: Web Applications credential, and, then, choose to specialize in Office365 app development with a single, new Specialist exam. This new exam is currently under development and more details will be shared once available. The 480/486/487 exams would give you the MCSD: Web Applications, while the new Developing apps for Office 365 will give you a MCS: Office 365, and maybe a MCSD: Office 365 apps certification? My Personal opinion is that a Developing apps for Office 365 specialist exam is a great idea, because there is nothing currently to certify users for that, however killing all certification for On-Premises SharePoint development is an awful one. I know that we can deploy apps on SharePoint 2013 and 2016, but no one really does it. More than 95% of my customers only do full trust farm solutions in their on-prem environment. Furthermore, according to the latest numbers released by Jeff Tepper in November 2015, 60% of SharePoint licenses are On-Premises … so about 96 Million Users. What do you think about this new certification path? Let me know in the comments! What if any one cleared two exams from existing path (I.e 480 and 488). As 488 is related to SharePoint. Can 488 be considered in new path? Looks like. I don’t how about you, but I’m not very pleased with that. Microsoft should indicate that MCSD: SharePoint Applications will be retired soon on the certification page. Thanks for your update on this. Thanks for the update. I was planning to do SharePoint 2013 MCSD. But Microsoft should at least not retire SP2013 MCSD for a while. 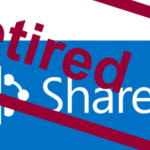 Lots of companies are still moving to SharePoint 2013 or are planning to move. I want to do Microsoft Certification in SharePoint so which certification will be good for me as per my experiences.